I am struck by the singular beauty of the Chihuahuan Desert. I really can’t explain why. It’s just something I feel deeply inside — something that causes me to be silent and, for lack of a better word, reverent. While some may look at a vast desert landscape and regard it as nothing more than a hard and mournful kingdom of sand and rock and shrubs, it is indeed much more than that. The desert is a canvas on which the beauty and resilience of life is on display. Anything that can survive and even thrive in the desert has my deepest respect and admiration. It is these survivors that each lend their respective beauty to the desert, some in ways more obvious than others. Among my favorites is the strawberry cactus. The strawberry cactus is one of the most beautiful of desert plants. Its name is derived from the strawberry-flavored fruit that it produces. 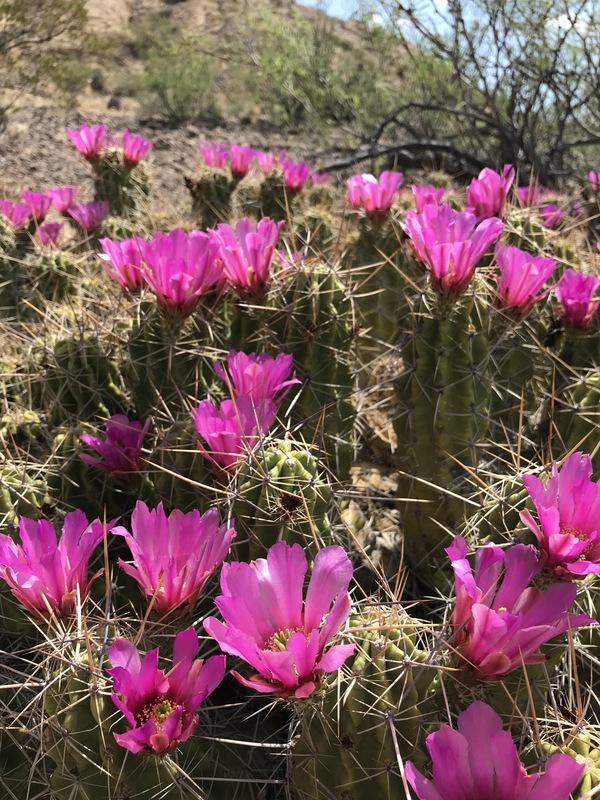 Its appearance has also earned it numerous aliases, including strawberry hedgehog, hedgehog cactus, porcupine hedgehog, straw-colored hedgehog, and pitaya. 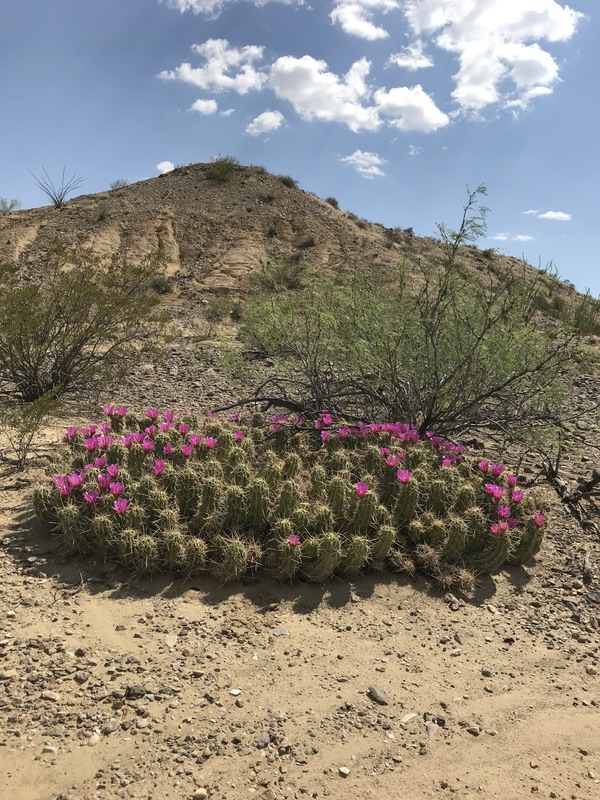 While the desert intimidates other plants, the strawberry cactus is at home in the harsh environment of the Chihuahuan Desert. 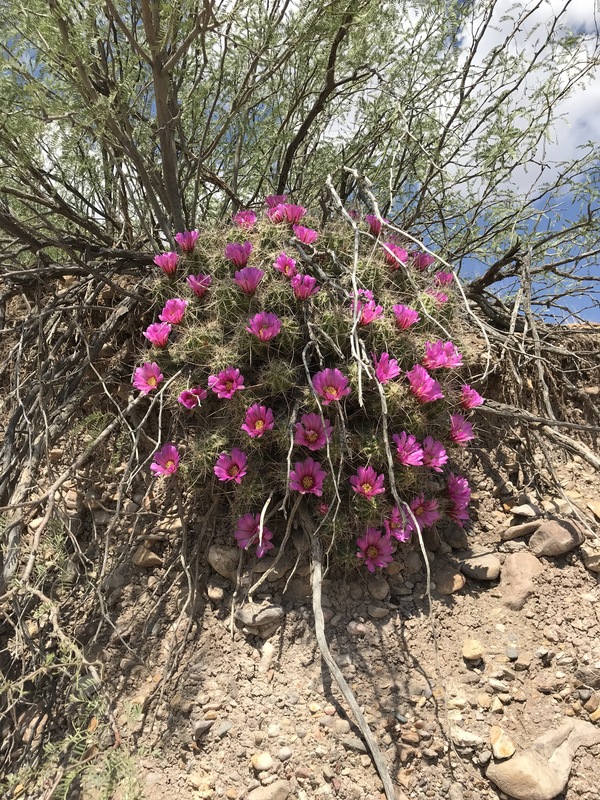 This hardy specimen can be found in most areas of Big Bend, from the low desert to mountain slopes as high as 5,000 feet. The strawberry cactus grows in clumps that can be several feet in diameter. Throughout spring and early summer, these clumps are adorned with large and colorful flowers. 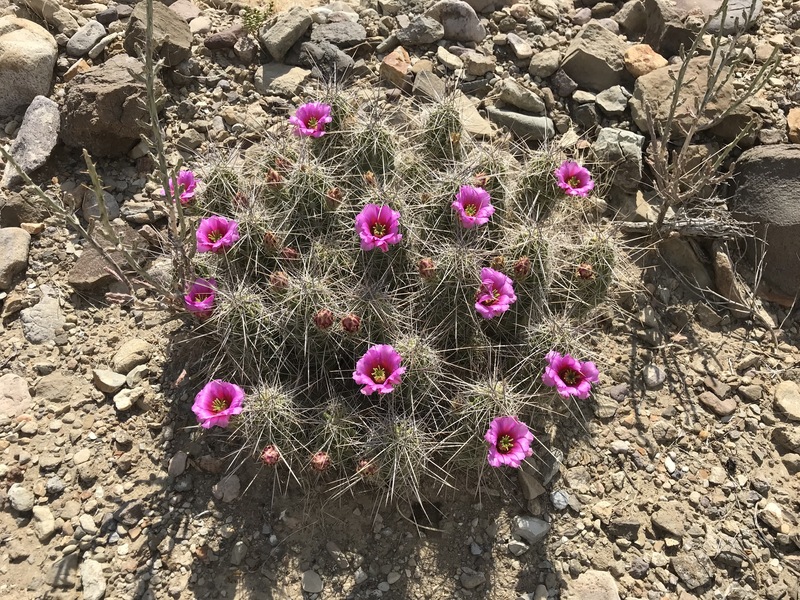 The distinctively beautiful magenta flowers make the strawberry cactus easy to identify. The reddish-purple fruit of the strawberry cactus ripens in July. Before eating it’s important to remove the thorns. The fruit has a tart-flavored taste that is similar to that of strawberries, hence the name. The fruit of the strawberry cactus has been a favorite of desert-dwellers for generations. The next time you drive across the Chihuahuan Desert make it a point to look more carefully at the plants that call this wide part of Texas home. They are there because they are tough — and they each make a special contribution to life in the desert. Look carefully and you too will see a distinctive and singular beauty in desert places. 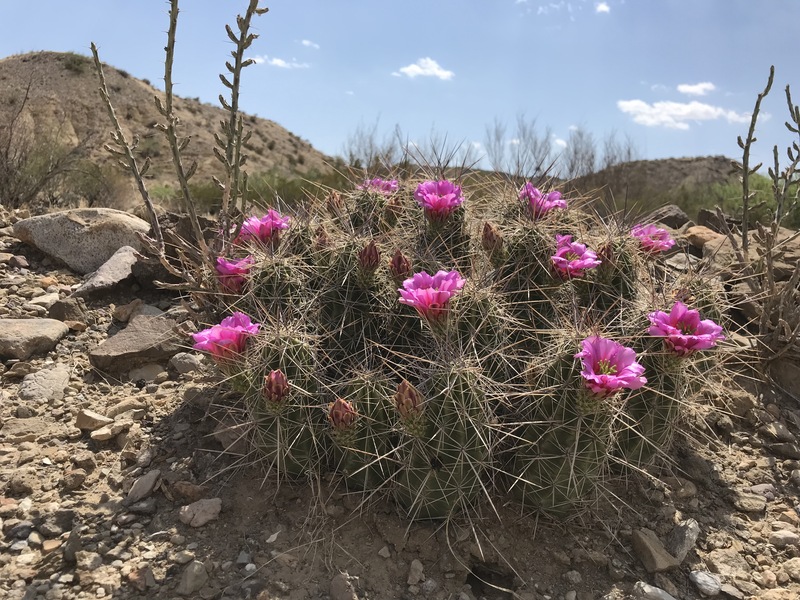 This entry was posted in Flora and Fauna and tagged Hedgehog Cactus, Strawberry Cactus, Strawberry Pitaya. Bookmark the permalink.